Back from break and ready to get all the orders out the door. If you ordered something in the last 10 days, it should be on the way to you. Hope you all are surviving the end of the year and checking out all the bands with stuff out on mpls ltd.
We are psyched to be releasing "Empty Your Mind" on 12" vinyl at the beginning of November. Blood Cookie has invited a bunch of rad-tastic™ bands to celebrate the release. Head over to Palmer's Bar on November 3rd and hangout with Blood Cookie, Awkward Bodies, QQQL, and DJ Christian Fritz. mpls ltd is kicking off a string of vinyl releases starting off with Lazear. Their first release has seven sonic indie songs that sound even more incredible live. 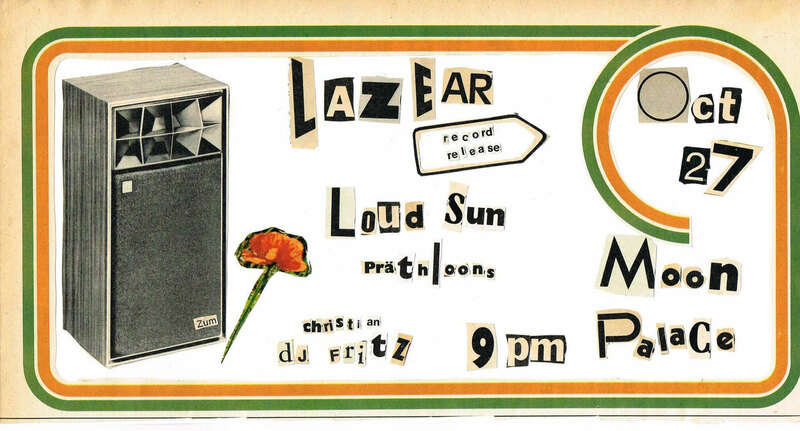 Come down to Moon Palace Books to party with them, Loud Sun, Präthloons, and mpls ltd's very own DJ Christian Fritz. Phantom Breaker 1993-1996, by Lefty Lucy is out now! Lefty Lucy were a punk band from Minneapolis. Members included Arzu Gokcen, Frannie Christensen, Derek Johnson, Dave Gatchell, and Nicole Gerber. Arzu Gokcen, Dave Gatchell, and Nicole Gerber would later go on to form Selby Tigers. Lefty Lucy only released two EPs and appeared on cassette compilations in their brief time together. They also recorded an album, but the master tapes were destroyed in a Fargo flood before it ever saw the light of day. Pre-order "Levo : 10 Ace Bands From The Lucky Country" now! mpls ltd. has been working hard all summer on an amazing collection of 10 rad bands from Australia. It's going to ship in early October so get your pre-order in now.